We are delighted to announce the arrival of our new CD: Beethoven and the art of Arrangement. 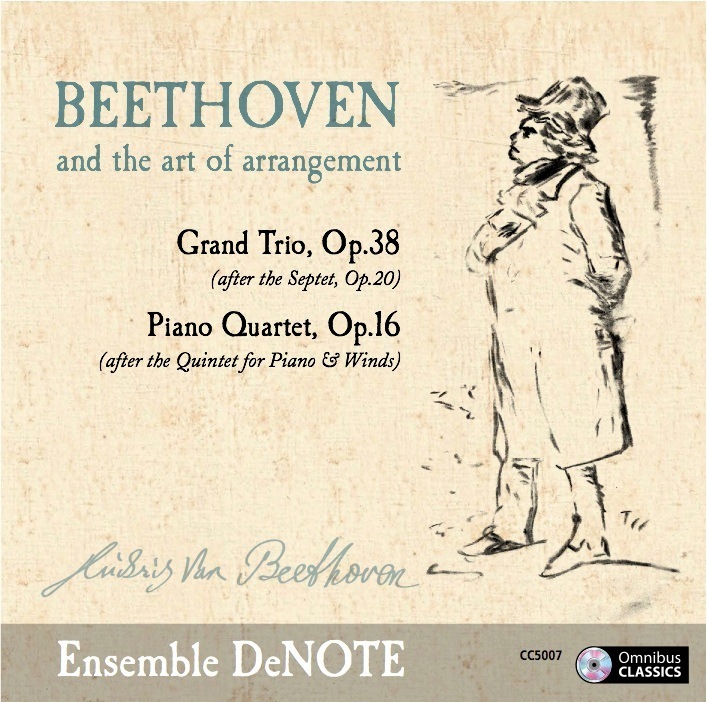 The recording explores two Beethoven self-arrangements: the Trio, Op.38 for clarinet, cello and piano is a remarkable reimagining of the famous Septet, Op.20, exploiting at the same time, Beethoven’s virtuosity as a pianist. The Quartet, Op.16 is Beethoven’s alternative view on the Quintet for Piano and Winds (sharing the same opus number). Here, we experience Beethoven’s extraordinary sensitivity to timbre and decoration, with many passages treated to sumptuous elaboration in the string setting. Beethoven and the art of Arrangement will be officially released on OMNIBUS Classics (CC5007) on 1 May 2015.